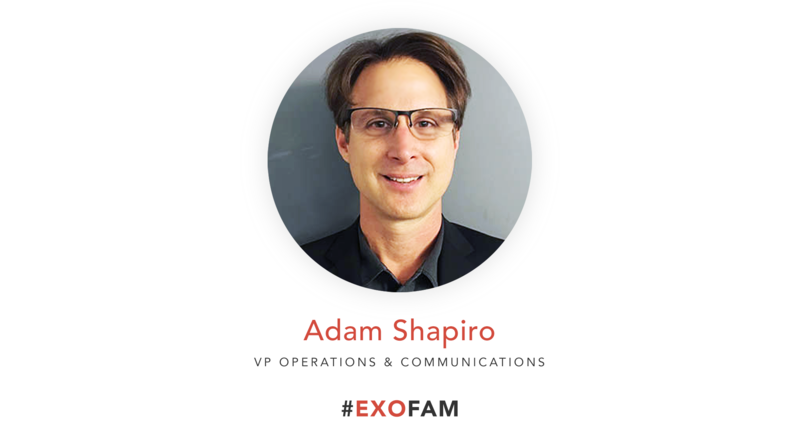 We connected with Adam Shapiro, Vice President of Operations and Communications on the Product Team, to learn more about what brought him to the ExecOnline family. Adam joined ExecOnline in 2014 and is based in our New York City office. After graduating from the University of California, Irvine, I lived in Japan for 2 years teaching English at a high school in the city of Himeji (home of Japan’s oldest and largest castle). After returning home to southern California, I continued to teach English (SAT, TOEFL, and college prep) at an international school for 3.5 years. Following that, for 14 years, I worked for Kumon Math & Reading Centers, the largest private education company in the world—franchisor of 30,000+ learning centers in 50+ countries. For the last half of my tenure, I served at VP for the Office of the President and chaired the Senior Executive Board. My career there started in California, and I later accepted a transfer to the NYC area, where I’ve resided since 2001. Desiring a transition to edtech, I then worked as VP of Operations for Noodle—a John Katzman (2U, The Princeton Review) company—and, happily, for the past 4.5 years, at ExecOnline! I also provide start-up consulting at Techstars and NYU-Stern start-up incubators. Mark Ozer, who I got to know when he shared office space at Noodle, introduced me to the opportunity. Though it was early in EXO’s history (way back in sepia-toned March 2014), I was inspired by the business model, the university partners (just Berkeley and Columbia at the time), and the already-impressive roster of enterprises and top tier executives. Ingratiation Alert #1: I was also impressed by the vision and drive of CEO, Stephen Bailey, and Chief Product Officer, Julia Alexander. My focus is on communications and program operations. Specifically, I develop and manage content and systems to communicate to internal and external audiences across a variety of channels. I love thinking about and crafting the information that our various audiences need to be informed and engaged. I also enjoy how to take visions or concepts (a new product, for example) and determine how to break them down into operative components—both within my realm and among other groups. Ingratiation Alert #2: I also truly enjoy working with stellar staff members Jeremy Ceille and Christine Miller, as well as opportunities inherent in my role to work with so many skilled and enthusiastic colleagues across the company. ExecOnline Client Solutions, Marketing, or G&A… or Snorkeling Instructor in Micronesia. Contrary to the title of a popular self-help book, you should sweat the small stuff. Attention to detail matters, especially when others depend on your work and extra especially when you’re representing the company to clients. I really enjoy what I do and (Ingratiation Alert #3) truly enjoy interacting and collaborating with my colleagues. I genuinely look forward to coming to work each day. Where would you like to see ExecOnline in five years? 2023 Vision: ExecOnline is recognized as the premier provider of leadership development programs. Our course offerings and university partnerships have grown substantially, and our large suite of proprietary products serves myriad professional demographics, functions, and industries. Our technology further heightens student engagement and is leveraged by universities and L&D providers for their own academic offerings. I lived in Japan for 2 years. I’ve been a pescatarian for 32 years. I was a DJ at my college radio station, where I hosted the punk rock show for all 4 years. I received a Track & Field college scholarship. I voluntarily jumped out of a plane at 13,000 feet. I used to have hair down to my shoulders. I enjoy hiking, swimming, exploring the woods with my dog, reading (literary fiction, history, science), podcasts, documentaries, and tea snobbery. The department that sends me my kids’ college tuition bills, my high-standards-possessing wife, and my own desire to be useful and valued—a universal desire, I think.